After you decide to invest in a new deck on your property, your next decision is choosing the right wood deck builder in Northern Virginia for the job. Consider the obvious, such as experience and project estimate, but also more personal considerations, such as experience building the type of deck you want and being comfortable working with the wood deck builder you choose. 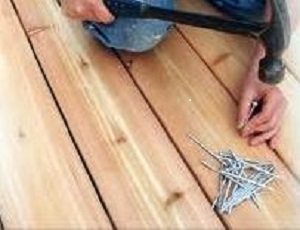 Even though a deck may not seem like a difficult project to build, it is a bit more complicated than it appears. 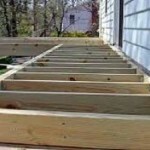 It requires a reputable wood deck builder in Northern Virginia with experience and expertise. 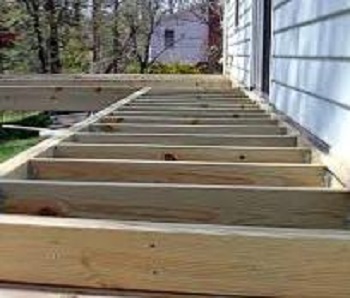 Not only are you trusting them to build your deck, you are also trusting them to make materials recommendations and construct your wood deck in accordance with local building codes. They also need to precisely follow all manufacturer installation instructions to protect the product warranty on your wood deck materials. 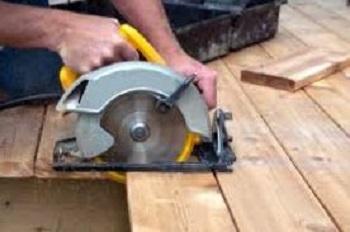 Only a licensed, professional wood deck builder in Northern Virginia knows the tricks of the trade to ensure you get a beautiful, durable new wood deck built to last. 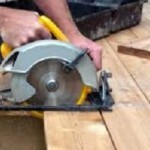 Working with a professional wood deck builder in Northern Virginia is essential to safely enjoying your new wood deck. 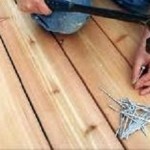 Contact the fence and deck experts at Hal Co Fence and Deck in Dumfries, VA about your wood deck dreams. Hal Co works with a full range of traditional and modern materials to build wood decks, all kinds of fences and screened porches for your outdoor living enjoyment in Northern Virginia. This entry was posted on Saturday, November 30th, 2013 at 5:03 am	and is filed under Decks, wood deck. You can follow any responses to this entry through the RSS 2.0 feed. Both comments and pings are currently closed.